The process of getting orders out the door and on their way can get tedious. Ordoro’s automated features have your back end. 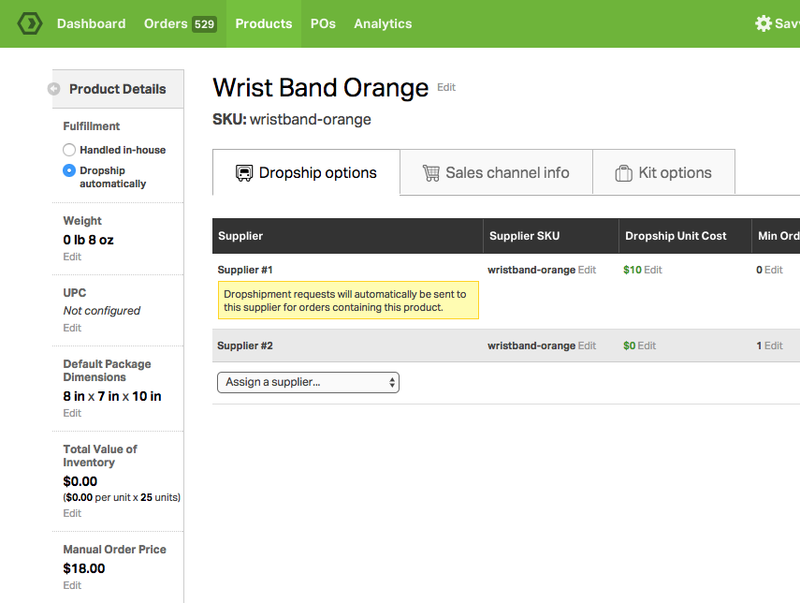 To get your shipping workflow moving like clockwork, put our Automation Rules and Shipping Presets to work. 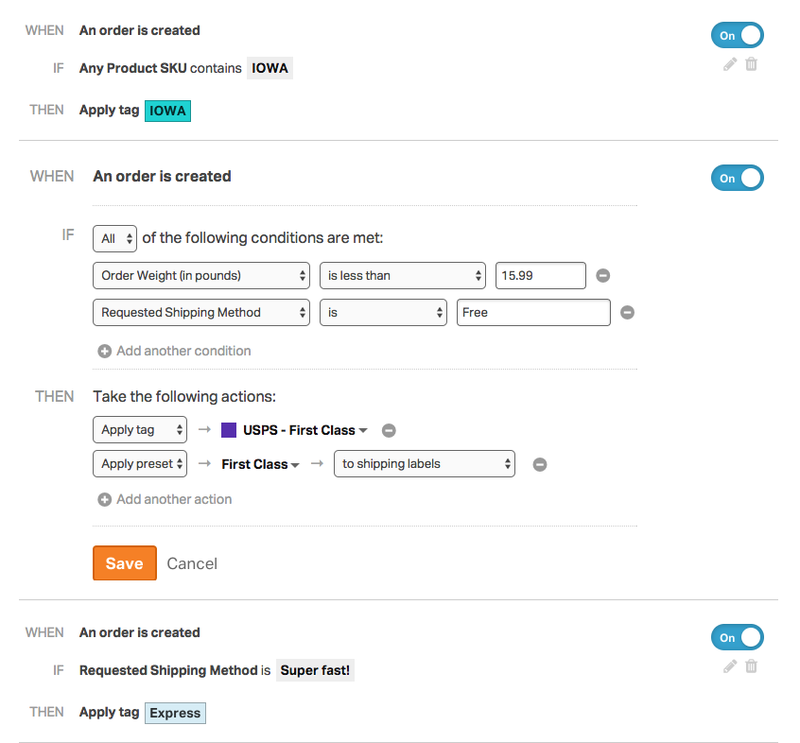 Automation Rules command the app to instantly attach a tag to imported or manually created orders depending on a bunch of criteria — apply tags based on SKU, destination, and weight (to name a few), as well as tags that automatically create purchase orders. 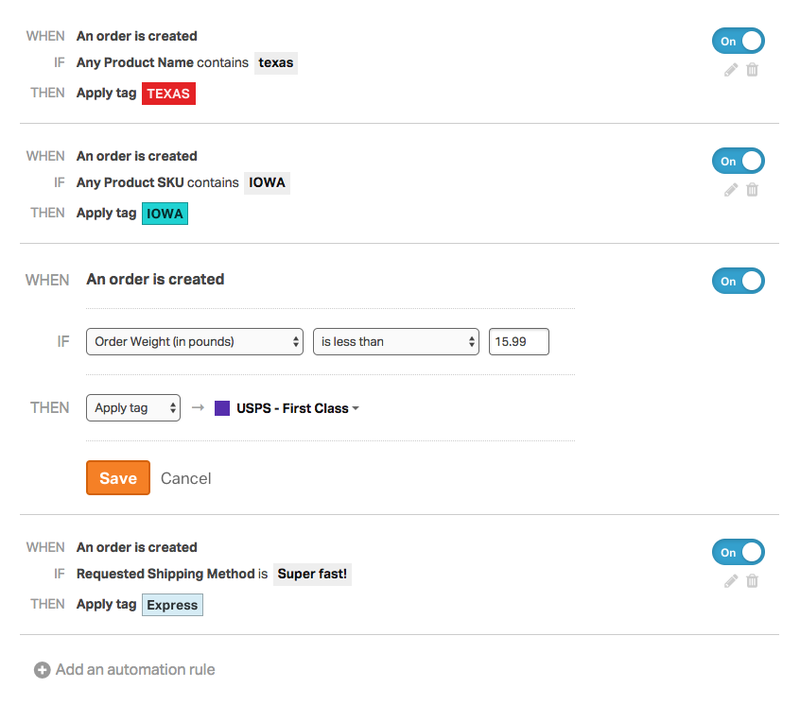 Once configured, the rules accelerate your workflow by grouping fulfillable orders in tag-based, ready-to-be-processed batches. For instance, let’s say you ship all orders lighter than 15.99 ounces through USPS First Class. Easily set up a rule that automatically applies a “USPS - First Class” tag to incoming orders weighing less than that amount. When it’s time to fulfill them, the process is streamlined. Simply filter orders by your “USPS - First Class” tag, select all of them at once, and create shipping labels for each in a couple of clicks with a Shipping Preset. Shipping Presets drastically reduce the time and effort it takes to fill out the many parameters required when printing shipping labels. Choose from a variety of shipping specifics — such as shipping carrier, method, ship date, and product dimensions — save them as a preset, and apply them to orders in bulk to create triple-digit batches of labels in only a couple of clicks. Take those “USPS - First Class” tagged orders mentioned earlier for instance. Set up a preset that enables USPS as the carrier and First Class as the method, add additional information like ship-from info or insurance, name the preset, and save it. Then select those “USPS - First Class” tagged orders, click your new preset, apply it, and hit the “Create Label” button to process labels for every order en masse. 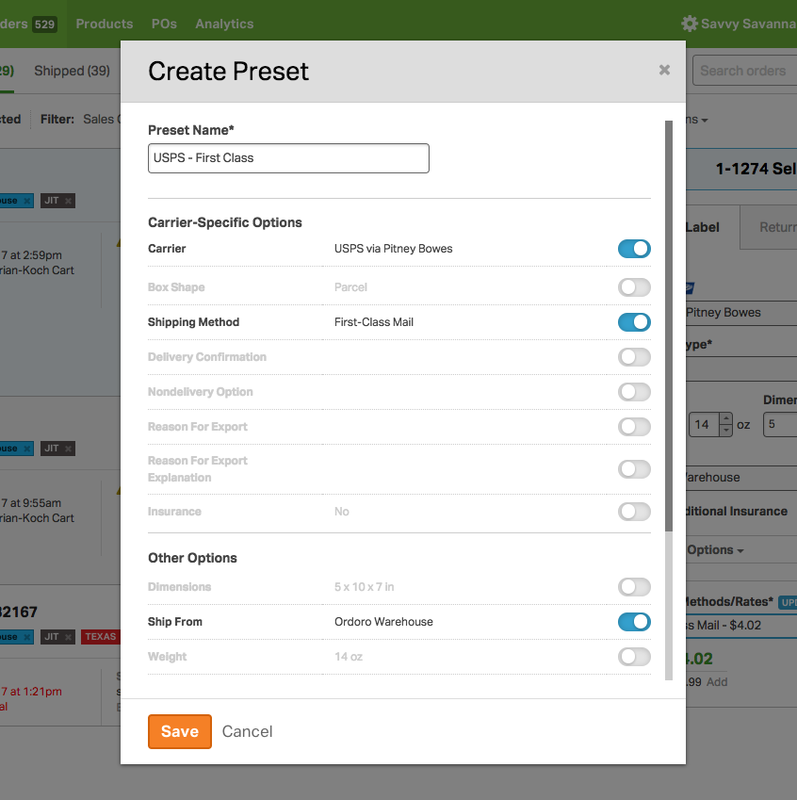 To take automation to the next level, combine Automation Rules and Shipping Presets: use our Automated Presets to create rules that automatically apply presets to orders based on certain criteria. Returning to those “USPS - First Class” orders, once the preset for them has been established, configure a rule that automatically applies it to any imported or manually created order weighing less than 15.99 ounces. Using Automated Presets streamlines your workflow immensely. When it’s time to fulfill, all you need to do is select those orders and smack the “Create Label” button — the rule already filled in the shipping specifics for you by applying the preset! Clear and effortless communication between merchant and supplier(s) is required to dropship effectively. Through auto-routing and order splitting, Ordoro’s dropshipping automation delivers on that, helping speed up your process by reducing the back-and-forth. Fulfillment is a hands-off matter when dropshipping, and we take the same approach to your workflow with our auto-routing feature. It’s exactly as it sounds; dropshippable orders are sent to vendors without any effort on your end. First, assign each dropshipped SKU to its respective supplier, linking the two. Once orders are imported, the app instantly identifies products that are dropshipped and automatically emails dropshipment requests to their assigned vendors for fulfillment. But some dropshipments contain products carried by multiple vendors. For that, order splitting is a necessity — imported orders containing products carried by different dropshippers are split automatically, and each product is routed to its assigned vendor separately. Let’s say you sell a variety of action figures — one of your dropshippers sells Marvel figures, another sells DC figures. If a customer buys both a Marvel and a DC action figure, the order is immediately split and a dropshipment request for each product is sent to its respective vendor.